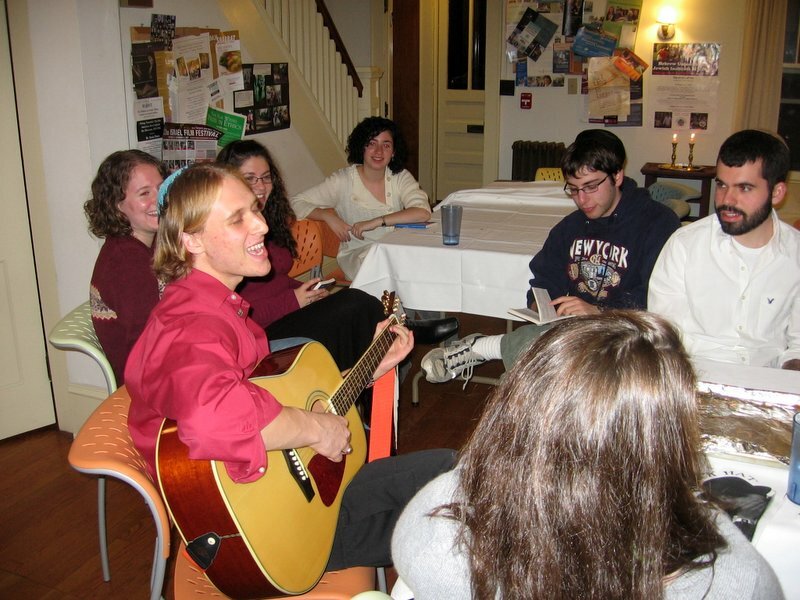 Nothing reeks of Jewish Young Adults like sitting around in a small group and listening to some acoustic guitar. Whether it be at a retreat, an Israel program, services at the Reform temple, or even in the wee hours of a waning house party, someone is bound to bring a guitar and start playing. There is no getting around it, whenever a group of JYA’s gather, for whatever reason; there will definitely be some strumming. JYA Males love the guitar because it draws the attention of the females, and they will always keep handy a repertoire of campy renditions of Bob Dylan, Jack Johnson, and Joplin’s “Bobby McGee” (or early Dave Matthews for the truly talented). Even the most musically ungifted will still know three chords to string together for a simple Bob Marley ditty when the ladies are present. It is unclear if Female JYAs are truly as enamored by guitar playing as they let on, or if they simply pretend to be in order to manipulate the men. In either case, the illusion of their interest is strong enough to make is seem like all JYAs are avid fans of acoustic guitars.